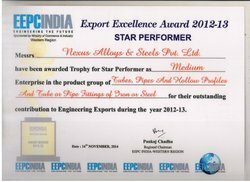 Nexus Alloys and Steels is a trusted Stockist and Exporter of Austenitic Steel, Ferritic Steel, Duplex, Nickel Alloys, Titanium, Non Ferrous Metal etc. 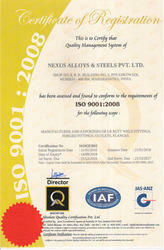 We are an ISO 9001:2000 Certified company that follows total Quality Management System. With the focus on exports, we have been maintaining a balance between quality of our products and price acclaimed for innovation and market handling techniques. Over the years, we have grown into an established brand and our clients include some of the most reputed names in the corporate world - Both domestic as well as international markets. Today majority of our revenues come from our overseas clients in the US, Europe, Africa, Middle, Far East and more. We are able to modify the materials by Machining, Forging, Bending, Rolling, Draw & Expansion, Welding etc on the products to cater to your specific engineering and fabrication designs & requirements. 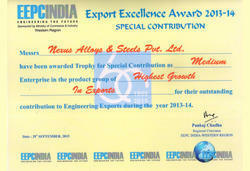 Nexus Alloys and Steels is a trusted Manufacturer and Exporter of Austenitic Steel, Ferritic Steel, Duplex, Nickel Alloys, Titanium, Non Ferrous Metal etc. 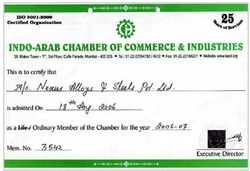 We are an ISO 9001 : 2008 Certified company that follows total Quality Management System. With the focus on exports, we have been maintaining a balance between quality of our products and price acclaimed for innovation and market handling techniques. We are fully geared with the requisite technical expertise and quality control mechanism, which leads us to successfully meet even the bulk orders of the clients. 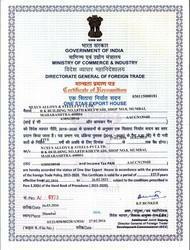 Additionally, our streamlined administration, regular follow-ups with the clients and quick order dispatch has enabled us to win the faith and trust of the clients.